"Sampath Speaking" - the thoughts of an Insurer from Thiruvallikkeni: Perceived control ~ the button 'close' in Lift in fact does not close it faster !! Perceived control ~ the button 'close' in Lift in fact does not close it faster !! 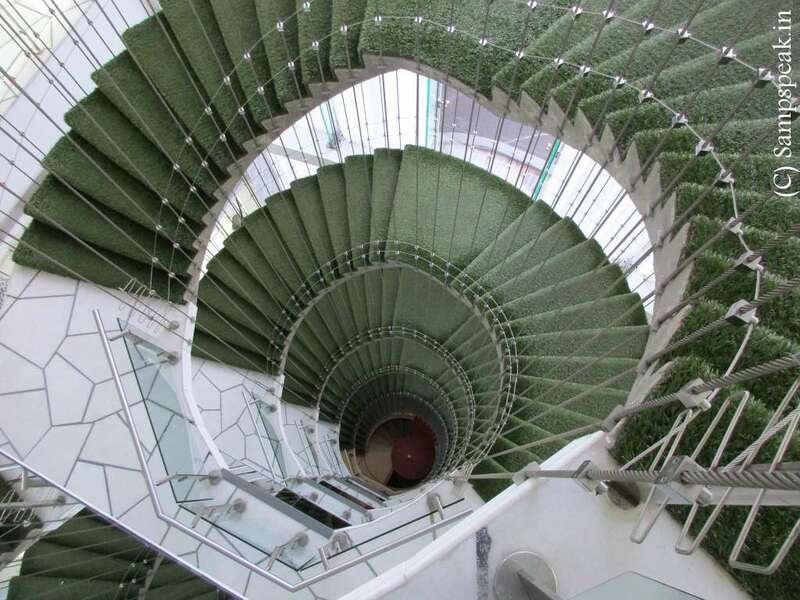 The writer whom I admire most Sujatha once wrote this Q : everyday a man enters a lift along as he comes early – his office is in 21st floor – he would press 14 – get down as the lift stops and walks the rest of the stairs to reach Office ? what is the reason ?? It is normal and even helpful to experience fear in dangerous situations. Fear is an adaptive human response. It serves a protective purpose, activating the automatic “fight-or-flight” response. With our bodies and minds alert and ready for action, we are able to respond quickly and protect ourselves. But with phobias the threat is greatly exaggerated or nonexistent. For example, it is only natural to be afraid of a snarling street dog, but it is irrational to be terrified of a friendly small dog tied by a rope. When fears become so severe that they cause tremendous anxiety and interfere with your normal life, they’re called phobias. Do you have the fear of going alone in an elevator ? 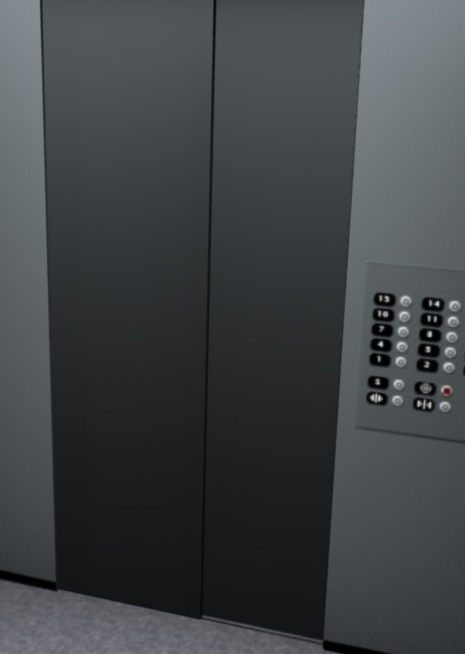 Claustrophobia – is the fear of elevator. According to the Elevator Escalator Safety Foundation, over 210 billion passengers use elevators in the U.S. and Canada each year. Yet many people feel at least a slight nervousness when contemplating a long elevator ride. There is another ‘Agoraphobia’ - a fear of public places and open spaces. The fear is so nerve-wracking that you may go to great lengths to avoid it. We find that in most places, people are restless, would push the button more than once, when waiting for the lift to descend. Likely such people would curse things for being slow and then once inside would press the >close< button, mad – several times. All lifts would close in a few seconds as a natural process, but to them those seconds would feel like ages and by pressing hard, they would want the lift to close immediately and move !! In my own experience a few years ago, Office was on the 3rd floor of an old building, (by chance) 3 of my colleagues were in –the hackneyed creeching elevator had iron gate that are visible - a man came running – we stopped the lift, let him in – as destiny would have it, within a few seconds, power went off (power cut is common) and everytime power goes, lift would stop in between – for safety reasons, doors would not open, until, it is nearer any floor and the special key is inserted. The man immediately let out an expletive – and as a few more seconds passed by, started blaming the power supply, the building management and more. Since the lift had cross-iron doors, was confident that others would see and come to our rescue, though the lift was struck in such a manner that nothing other than the wall was visible. Seconds became minutes – we (colleagues) were happily discussing things – then it was almost 15 minutes – the battery power inside was dying – no light, no air – we were sweating profusely. Wondered what would happen, if it was late evening and we had used the lift for descending and if it were to be those days, when the cell phone was not there. Fortunately, there was signal and we could contact our colleagues on floor – there was hectic activity outside which could be felt, but, someone had to go to top floor, circle the ropes manually and lift would move inch by inch. The other restless man, this time, made a call to his spouse and started yelling at her, for the delay she made when he started ! .. .. we too were not in mood to enjoy that – as by the time, the lift moved and we could jump out from the lift to the floor level, it was a good 50 minutes. ‘All well’ – you had some company, day time – people responded, some air to breathe – yet it was quite an ordeal !!! .. well, this is no post on my own experience but on buttons in a lift. .. but on what people do – pressing the ‘close the door’ button in a hurry .. and MailOnline reveals that the button is a scam and is obsolete since 1990s – What ?? This suggests that such button is fake and would not close the door faster, though the perception is different. Here is something excerpted from MailOnline. Most people do not have the patience to wait a few seconds for the elevator doors to shut, so they push the 'close' button to speed up the process. However, some say this feature has been obsolete since the 1990s, suggesting the button is a complete fake – it will not close the doors any faster. Experts reveal that there numerous buttons in the world that do not live up to their name, but are present to make us feel in control. New York City figures state that out of the 3,250 crosswalk buttons, 2,500 of them were replaced with non-functioning mechanisms. And a majority of the thermostats installed in offices that are easily accessible are decoys. Expert say that these buttons or fake thermostats are in place to promote the illusion on being in control. Having a lack of control has been found to spark depression among many individuals. The Americans With Disabilities Act was passed in 1990, mandating that elevators stay open long enough for someone with a physical disability, such as on crutches or in a wheelchair, to make it inside, Karen W. Penafiel, executive director of National Elevator Industry Inc., told Christopher Mele with The New York Times in an interview. Although these buttons are useless to the average person, they do perform their proper function for firefighters and maintenance workers – but only with a code or designated keys. Penafiel explains since an elevator's lifespan is around 25 years, it is safe to say that a majority, if any, do not have a functioning 'close' button – but the 'open' button works when it is pushed. As bizarre as it seems to place fake buttons in an elevator or other devices, they are there for good reasons. 'Perceived control is very important,' Ellen J. Langer, a psychology professor at Harvard University who has studied the illusion of control, told Mele in an email. 'It diminishes stress and promotes well-being.' Another expert, John Kounios, a psychology professor at Drexel University in Philadelphia, said that these buttons are there to add an illusion of control – if they weren't, people would feel a lack of control which is linked to depression. And those people who know the little white lie will still continue to push these decoy buttons because the doors eventually close and that is the desired reward, he said. The New York Times revealed in 2004 that the Big Apple pulled the plug on a majority of its pedestrian buttons long ago, as a result of computer-controlled traffic signals. City figures state that out of the 3,250 crosswalk buttons, 2,500 of them were replaced with mechanical placebos, or non-functioning mechanisms. The reason the buttons are still in place is because it costs about $1 million to remove them. New York City isn't alone in this let down, as ABC conducted a survey in 2010 that found only one working crosswalk button in Austin Texas, Gainesville, Florida and Syracuse, New York. So dummies have been so successful, that mankind has perceived and believed that by their anxious act, they have been able to have things happen faster !!! !